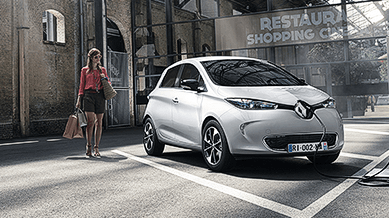 The Renault Upgrade offers available to private retail Renault customers aged 18 or over at participating dealers only, when you trade in any car subject to an appraisal of its road-worthy condition at a Renault participating dealer. Trade in vehicle must be of UK-spec and registered to the customer for at least 90 days before new purchase date. Additional part exchange allowance (£500 on Captur diesel and £250 on Captur petrol, £1,500 on Kadjar diesel and £500 on Kadjar petrol, and £2,000 on All-New KOLEOS) is available when you purchase a new Renault Captur, Kadjar or All-New KOLEOS when ordered by 31 March 2018 and registered by 31 March 2018. This offer can be used in conjunction with all other Renault retail offers.